With all the murky weather that we have had lately, its hard to remember that at this time of year there is a riot of colour going on in and around the farm. The plants are beginning to shed their leaves but many are going out in a blaze of glory. 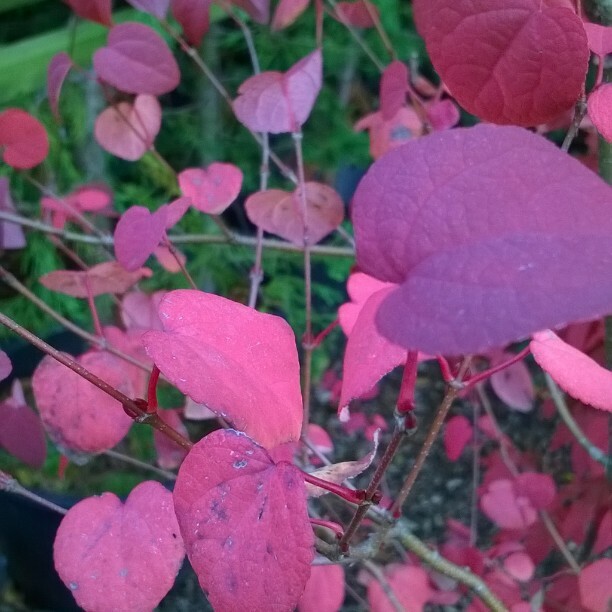 The vivid purples of this Cercidiphyllum Japonicum (also known as the Katsura Tree) is a beautiful plant and an absolute must if you have a large garden. But it's equally happy if kept it in a pot on the patio. 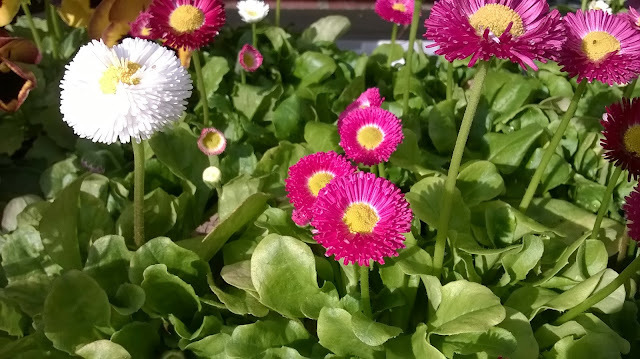 The Bellis are a close relative of the common daisy but always make me feel happy when I see their full heads nodding in the autumn sun. Autumn fruits are in abundance on both these crab apples. 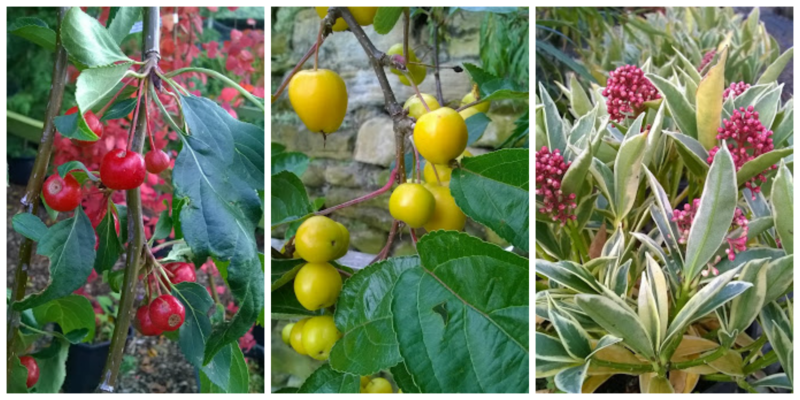 The yellow one is an upright tree and the red is a fantastic weeping variety. A low growing shrub finishes off the this little collection in the form of a variegated Skimmia, this one is called Magic Merlot and it is truly a bit of magic for the garden in the dark winter months that lie ahead. Winter might be just around the corner but that doesn't mean that you have to forgo these little gardening pleasures!